On Monday 12 November 2018, Alistair Mackintosh (AM, chief executive officer), Carmelo Mifsud (CM, media relations manager), Katy Brecht (KB, head of ticketing), Rob Padden (RP, head of matchday sales), David Daly (DD, non-executive director) and Nicola Walworth (NW, supporter relations manager) of Fulham Football Club met with Ian Clarke, Dan Crawford and Sue Couch of the Fulham Supporters’ Trust at Motspur Park as part of the ongoing structured dialogue between both parties. The Trust representatives asked for an update on the progress with the Riverside Stand. AM informed the meeting that the Club now have selected a lead contractor and are working with that contractor on the specifics of the proposals going forward. The lead contractor will be announced formally before the December meeting between the Trust and the Club on December 10th. On the details of the process, AM revealed that the Club’s due diligence whittled down the number of potential lead contractors from 21 to a preferred partner. Some potential lead contractors were supplied by supporters and AM ensured that all parties were approached, but several were not interested in taking on the job. The preferred lead contractor’s role covers approximately 40 per cent of project, with sub-contractors envisaged to cover the remainder. The next phase of the scheme will be to complete tendering by the Club and the lead contractor for the various subcontracted elements of the build. The Club are still planning to knock down the existing Riverside Stand when this season finishes and work to a two-year schedule for the building of the new stand. It remains the Club’s intention to stay at Craven Cottage for the duration of the project. AM recognises that supporters would like simple answers to contractual and planning questions, but said that this is a complicated process, with the number of marine, construction and planning specifics to finalise. AM was clear that with May looming, there is a lot of work to do in order to progress the project. AM and DD reiterated that the Club are particularly open to ideas from supporters about what should go in the new stand. The Club are sending officials and staff to visit a number of stadiums to benchmark the best ideas but would welcome ideas from Trust members around specifics. These could relate to non-matchday facilities and the sort of food and drink offering that could feature within the new stand. AM firmly stated that the Khan family were good owners for Fulham Football Club who will deliver on their stated intentions with the new stand and emphasised the importance of Craven Cottage to them. He also referenced Shahid Khan’s recent programme article on the Riverside Stand to stress the Club’s continued commitment to the Cottage. The Trust representatives also thanked DD for leading on the project to represent Fulham’s history in the new Riverside Stand after a successful first meeting between DD and Fulham fans to discuss ideas. He envisages further meetings before making a presentation to AM and the Club board on proposals. 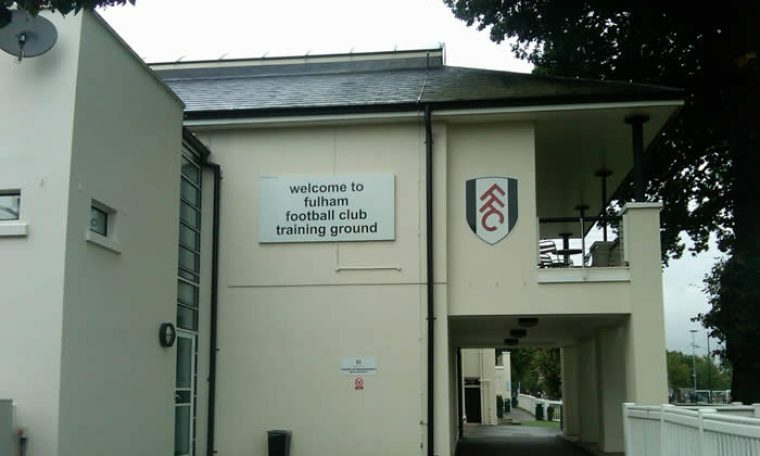 The Trust raised the strong concerns of the Trust members and Fulham fans following the publication of the price for tickets for the forthcoming home fixture against West Ham United. AM reflected on the discussion of ticket prices during the October meeting and reiterated that the Khan family are still subsidising the day-to-day running costs of the Club to a considerable degree. AM insisted that Mr. Khan and himself want the Club to self-sufficient and believed that this was one of the Trust’s long-term goals as well. AM stated that the Club are not experiencing problems selling tickets this season and believes that the atmosphere at Craven Cottage is excellent. He cautioned that a decision to bring down the price of match day tickets would see him brought under pressure to increase season ticket prices. The Trust voiced concern about the long-term impact of such high pricing potentially pricing out previously loyal supporters who have a lower level of disposable income. AM said he had sympathy for this argument but felt that the Club does do a lot to reward fan loyalty and bring through the next generation. He believes that the Club’s season ticket prices for this season were very generous and pointed out that the Club offered 2,500 very cheap junior season tickets as part of a ‘create a generation’ strategy. AM and KB also referenced the recent move to limit the number of away supporters in the mixed zone in order to get more Fulham fans in the ground. He highlighted the work of the Fulham Foundation to provide tickets for younger, under-privileged fans. The Trust representatives stated that it was important to bring the views of the supporters to the attention of the Club – and that they would continue to do so. The Trust representatives re-opened the discussion on number of season ticket upgrades allowed per season and pointed out that the Club’s current policy is losing them revenue. AM and KB reiterated the reasoning behind putting in place a limit – due to touting and misuse – but accepted that misuse by a few does in this case punish the many honest and loyal supporters. The Trust shared extensive research on the policies of other Clubs in the Premier League and tabled a formal request for the current cap to be increased from two evening games to a higher number. AM and KB agreed to discuss this internally and come back to the Trust with a decision in due course. Following previous discussions with the Trust, KB, RP and AM confirmed that the Club intend to launch a ticket exchange scheme for the second half of this season. It will operate for sold out fixtures and offer season ticket holders the opportunity to sell their season ticket for games where they cannot attend. The Club believe that the introduction of this scheme will help to alleviate some of the current upgrading issues. The Trust drew attention to recent changes to how tickets are sold in the Putney End. KB replied that the Hammersmith and Fulham Safety Advisory Group and the Metropolitan Police have insisted on firmer restrictions on away supporters in the neutral zone, to avoid this becoming a de facto away end. In practice, as with the recent home game against AFC Bournemouth, this means that away fans from non-London teams won’t be able to buy in this area (e.g. Bournemouth, Leicester) by checking postcode. This also means that tickets for home London derbies will not be going on general sale. Fulham fans can still buy tickets for away fans in mixed zone as long as they effectively vouch for them and KB assured the Trust that Putney End stewards will know that some away fans are allowed in via this route, but will seek to act against any misbehaviour. In response to a question from the Trust, KB confirmed that the Club are currently discussing internally whether to offer half season tickets for the remainder of this season and that a decision on this will be communicated publicly in due course. The Trust thanked the Club for their work on non-standing seats for the forthcoming away game at Chelsea. KB said that there had been a good take-up of these seats to date. The Trust and the Club will monitor progress. The Trust reiterated the fans’ disapproval of the current system for away ticketing, with a lack of a pick your own seat option, run by Ticket Master. KB and RP detailed the problems with the current Ticket Master software. The current Ticket Master contract runs for another season after this one. KB stated that she hoped for progress at that point, if not before, and had already been examining other potential options. The Club confirmed that they were happy to place more detailed information on away sales on their website and Twitter accounts as suggested by the Trust. The Club have already implemented a template suggested by the Trust, including the order in which blocks are sold for each away match, with details of the number of tickets sold updated daily. This information is now viewable via the Fixtures page on the Club’s website. The Trust raised the forthcoming Premier League decision over whether to continue with the current £30 cap on league tickets for away supporters, which is due to be taken to a Premier League meeting in February. AM asked for the Trust’s view – which was to retain the current ticketing cap. He felt that the feedback of supporters would determine the Club’s stance on this issue. AM believed that the large away followings this season had been appreciated by the team and that the Club were likely to support the retaining of the £30 cap. KB, RP and AM recognised that many supporters had experienced problems with their loyalty points updating prior to being able to book Chelsea and Manchester United away tickets last week. They also recognised problems with Old Trafford blocks appearing in the Chelsea away allocation. Both of these were Ticket Master problems. In response, the Club have now set up a daily overnight loyalty point data feed to alleviate this problem and have commenced testing to identify other issues. KB and RP confirmed that the Club does not have access to a separate testing system so they have to do this testing live. AM strongly denied the series of allegations that have surfaced recently from former Club employee Craig Kline. He stated that the Club and Mr. Kline are currently in the process of ‘private arbitration’. The Trust raised queries about the number of members of Slavisa Jokanovic’s coaching staff who have left the Club since the start of the season. AM said that all of these decisions were taken by Jokanovic himself and that this was an indication of the head coach taking steps to try and improve the team’s performances. He denied that any internal process had been placed on Jokanovic to make these changes and that many of them involved difficult personal decisions for him. The Trust asked about Slavisa Jokanovic’s future, following speculation in the press. AM insisted that the Club remained supportive of Jokanovic and wanted him to be successful. He stated that the Club had won promotion due to Jokanovic’s leadership and coaching methods and that they wanted Jokanovic to be the man to steer the Club through this difficult run of form. He referred to the recent coaching changes as evidence of Jokanovic taking difficult decisions to try and improve the team’s performance and reiterated Shahid Khan’s recent public statement of support. NW, AM and CM informed the Trust representatives that the next home game against Southampton on Saturday 24 November would be the Fulham Foundation’s annual charity match. The Trust would be keen to hear from members and Fulham supporters who would be willing to support the fundraising work of the Foundation on the day. Please do email the Trust if you are interested. Following a series of questions on merchandising, it was agreed that the Club would invite Sean Davies, the Club’s head of retail, to answer questions on merchandise at the December meeting. The Trust will welcome specific questions on merchandising ahead of next month’s meeting. CM and AM referenced the Club’s desire to facilitate the formation of an independent Disabled Supporters’ Association to consult with disabled supporters about forthcoming improvements to their matchday experience at Craven Cottage. Any supporters interested in giving their feedback or getting involved should contact the Trust.